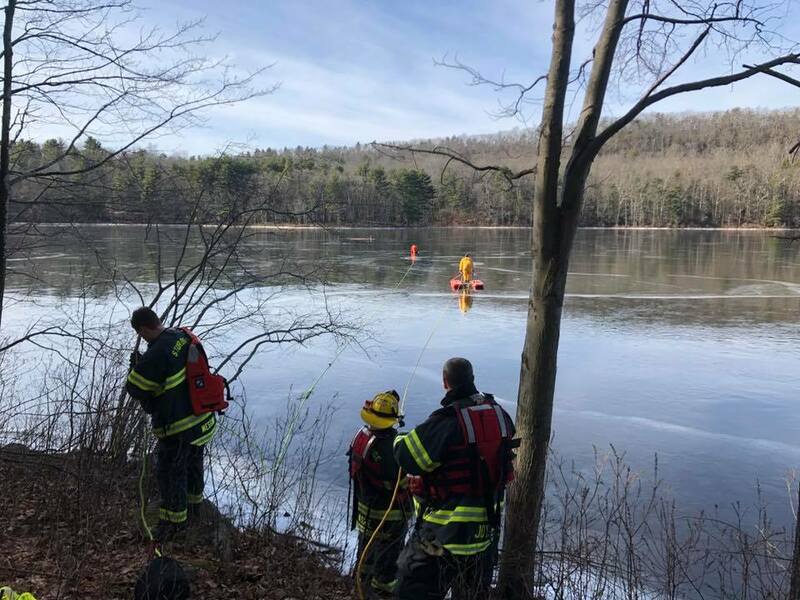 Just after 11AM on Thursday, January 17th, first responders in Sturbridge were called to Long Pond for reports of a deer trapped on the ice. With assistance from Sturbridge Animal Control, the rescue teams were able to bring the injured doe back to land after wandering about 800 feet on to the ice. With the recent snap of cold weather many police and fire departments have recommended people to stay off the ice unless, especially if it is under 2 inches thick. Take a look at the graph shared by the Millbury Police Department below.